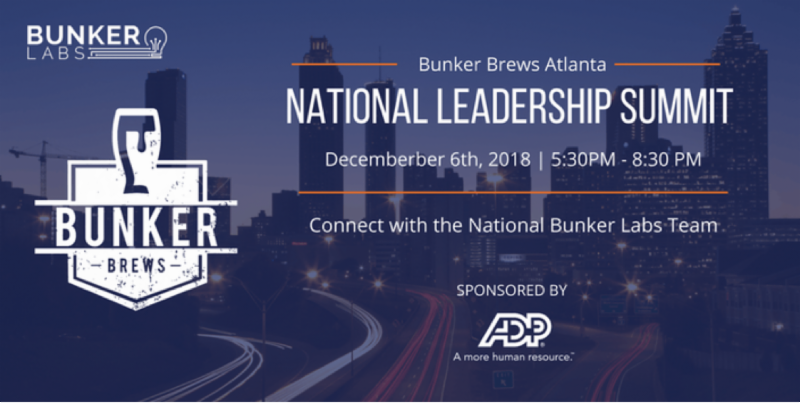 Join Bunker Brews Atlanta and the national Bunker Labs leadership team for a special Bunker Brews celebration sponsored by ADP. This event is part of Bunker Brews, a monthly meetup where the Bunker Labs community, including veterans, military spouses, and civilians, comes together to network with subject matter experts, investors, thought leaders, and more in an environment focused on growth and development. This event will be hosted at Sweetwater Brewing Company.